As an iOS engineer on Smule / Sing! 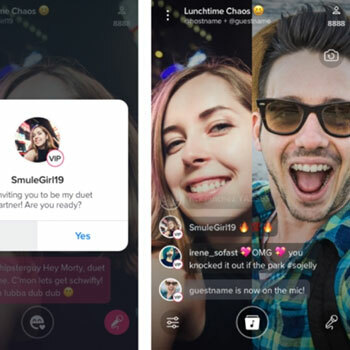 Karaoke, I’ve chiefly worked to develop LiveJam, a live karaoke streaming feature which allows users to broadcast themselves singing solo or with a duet partner chosen from the audience. I also programmed a complete redesign of the app’s “Explore” gallery, developed a new login/registration flow, and integrated native and rewarded video advertisements. As an iOS engineer on Facebook’s Private Events team. 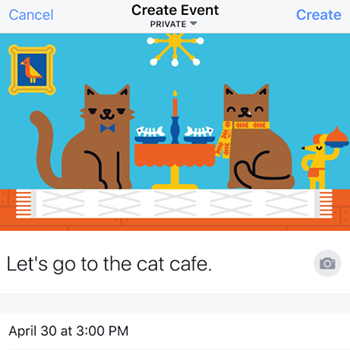 I worked on a number of projects designed to make it easier for people to make plans to do things in real life with their friends, like an overhauled event composer, improvements to the guest list and invitation flow, and changes to the event page which emphasize the most important information about the event. 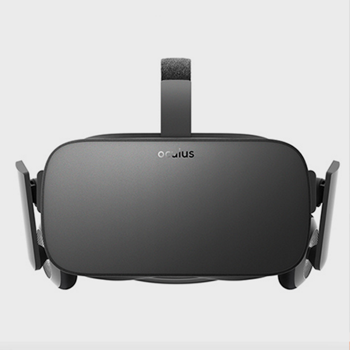 I joined the Oculus Rift Retail Demo team for a Hackamonth to help complete the development of a demo which will be installed in brick and mortar stores to help people experience virtual reality for the first time. 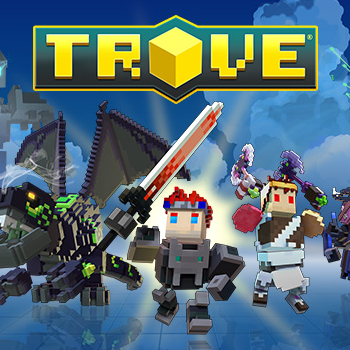 I was a gameplay engineer on Trove, a massively multiplayer sandbox action RPG. I did the engineering work necessary to build the first seven character classes (Knight, Gunslinger, Fae Trickster, Dracolyte, Neon Ninja, Candy Barbarian, and Ice Sage) added to the game. 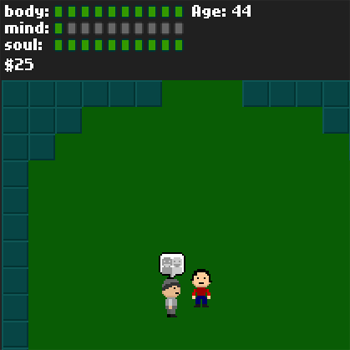 In between those, I worked on other miscellaneous mechanics, like enemy AI and collectible NPC pets. 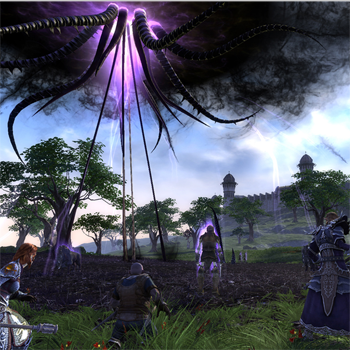 I worked as a gameplay engineer on the MMORPG RIFT and its expansion Storm Legion. I mostly specialized in work involving items, building features like cosmetic equipment, item augmentation, new types of recipes and crafting, upgradable equipment, and item sets. I also build the game’s marriage system, which allowed RIFT to set the Guinness World Record for most in-game marriages in 24 hours. Developed in 48 hours for a Global Game Jam, What’ll It Be? is an experiment in storytelling with an unreliable narrator. 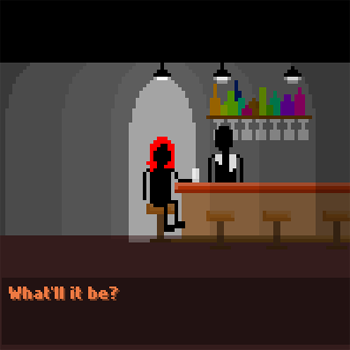 The player controls a character sitting in a bar, telling a bartender about her search for her missing brother. While the actions the player takes in each scene (fighting the other characters, walking away, etc) determine what the following scene will be, the drinks she orders in the bar interludes affect the style and intensity of each of these scenes. Developed in 48 hours for Whammy Jammy, Siren Strike Force is a prototype for a rhythm game with emergent music. Attacking each enemy plays a note, and attacks are more powerful when played with the beat (or half beat) of a metronome. 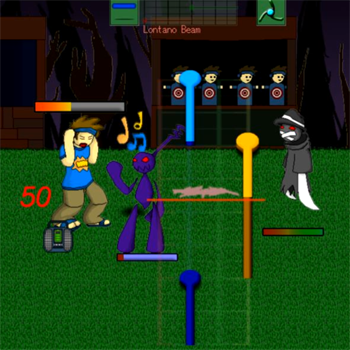 Attacking an enemy repeatedly does more damage, but attacking an enemy preparing its own attack stuns it, so the player is incentivized to both repeat notes and play different notes at various times. Developed in 48 hours for a Global Game Jam. 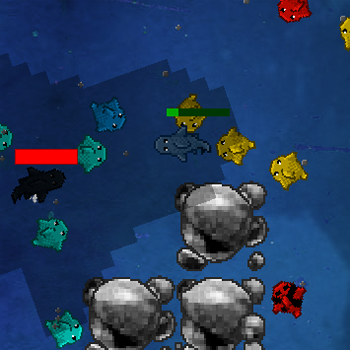 In SHARKOBOROS, the player controls a shark who swims around an arena, defeating fish and picking up the power-ups they drop to accumulate stat boosts and new abilities. Each level is complete when the player defeats an enemy shark, but in the following level, the enemy shark will have all of the stats and powers that their character had in the previous level. This gameplay continues until the player creates a shark so powerful that even they cannot defeat it. A simple game about regret. The player explores a series of rooms, each with something to interact with: a treadmill to improve their physical health, a person to befriend or fall in love with, a shop with items to buy, etc. At the end of the game, they’re given two scores: a life score for the value of everything they achieved, and a regret score for the value of everything they were exposed to but failed to achieve (such as people they encountered but never befriended, or items in shops they found but never purchased). The player can try to maximize their life’s value, minimize their regret, or find a balance between the two. A rhythm/beat-em-up game. Each of the player’s basic attacks plays a note, which can be used to play short tunes that execute special attacks. By chaining together these tunes, the player can both unleash a constant stream of powerful attacks, and play a song that changes as they toggle between their short, mid, and long range attacks and progress through the different unlockable tiers of attacks. My team was interviewed by GameCareerGuide about this project. 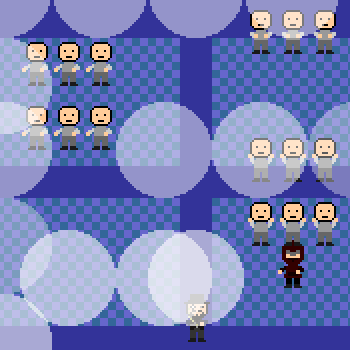 An experiment with using one’s voice control a game. The player’s avatar is controlled by singing into a microphone: holding a high note makes the avatar move up, holding a low note makes the avatar move down, and yelling into the microphone makes it shoot. 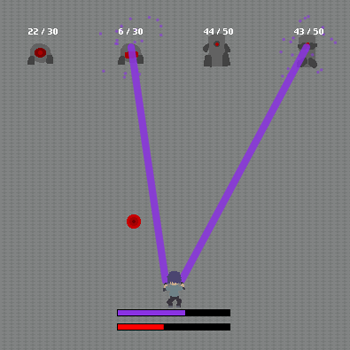 A prototype for a rhythm stealth game. The player moves around a dance club, building ‘stealthiness’ by standing next to other people and mimicking their dance moves, but loses it over time (especially when standing in a spotlight). The goal is to reach each level’s villain without running out of stealthiness, which requires the player to chart the best path through the club, learn the patterns each group of dancers is following, and input the same commands as them to the beat of the background music. Powered by WordPress Theme: Nishita by Brajeshwar.